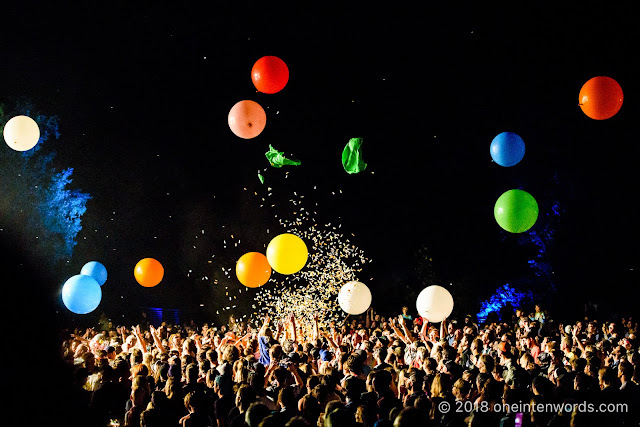 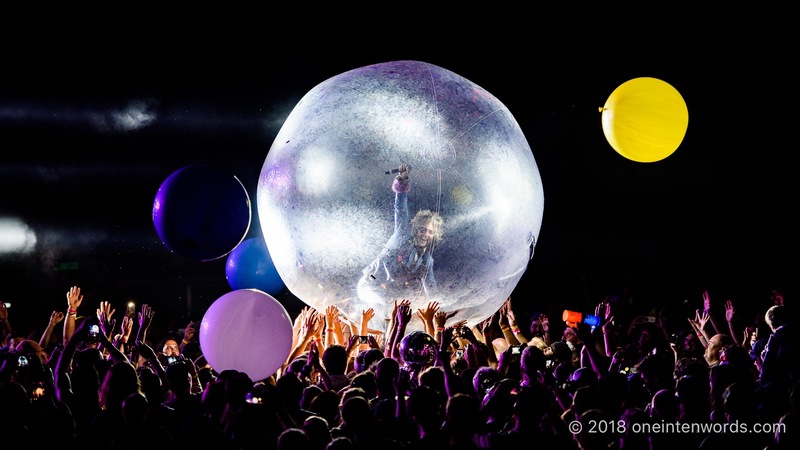 The Flaming Lips were the Saturday headliners of Riverfest Elora 2018. 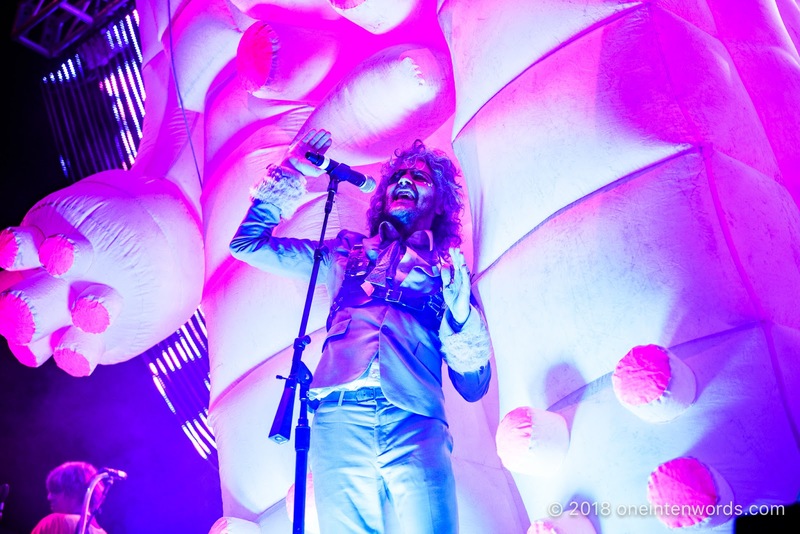 The Flaming Lips are always a full-on multi-media and multi-sensory experience, verging on overload. 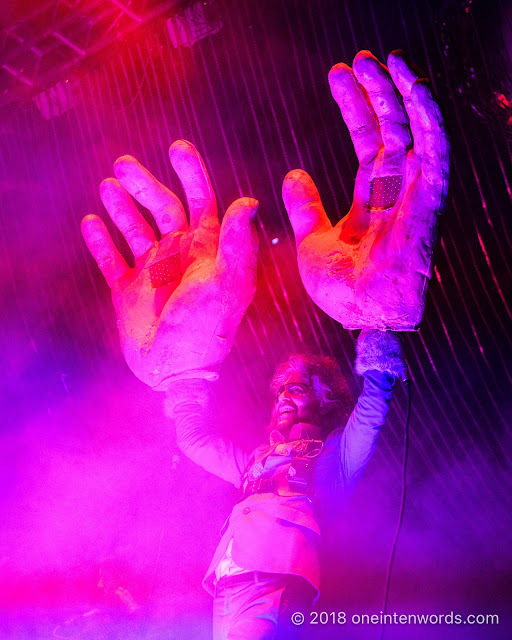 The Flaming Lips always put on a headline-worthy show and this performance was certainly no different. 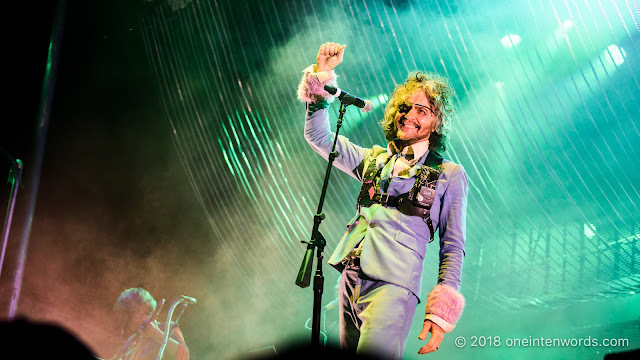 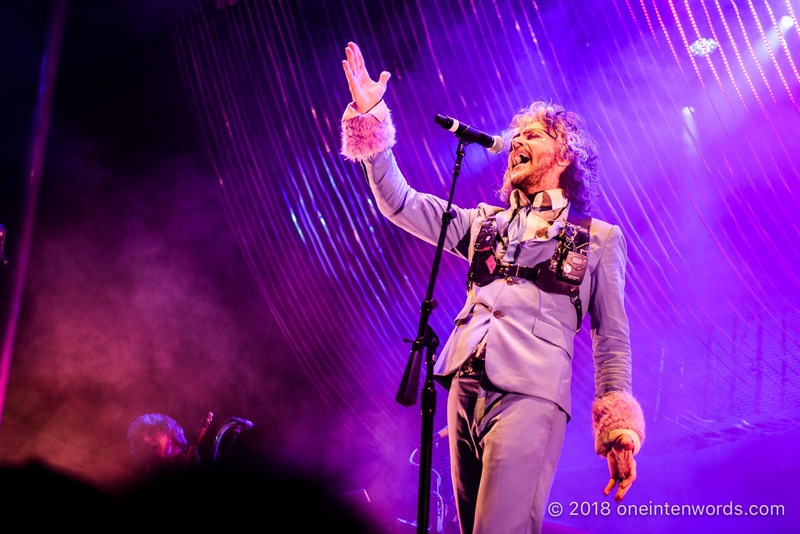 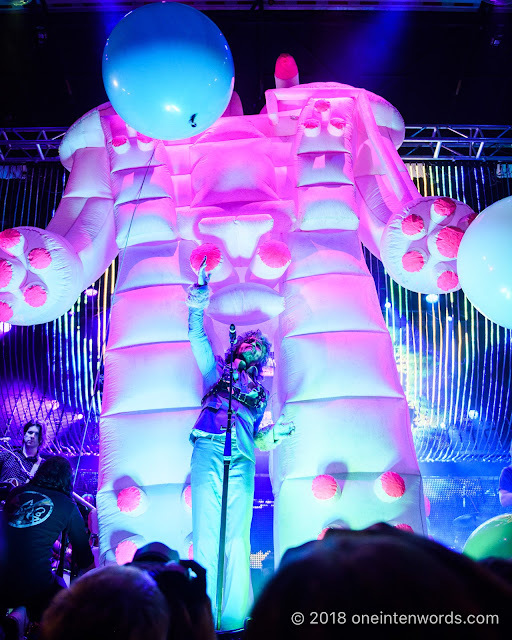 This time, in addition to the confetti, Wayne Coyne-in-a-giant-hamster-ball-rolling-over-the-crowd, and various creatures like pink robots, unicorns and inflated lips and eyes, we got Wayne Coyne-with-giant-hands-that-shoot-lasers-above-the-crowd-and-then-reflect-wildly-from-the-giant-disco-ball. Pretty cool. 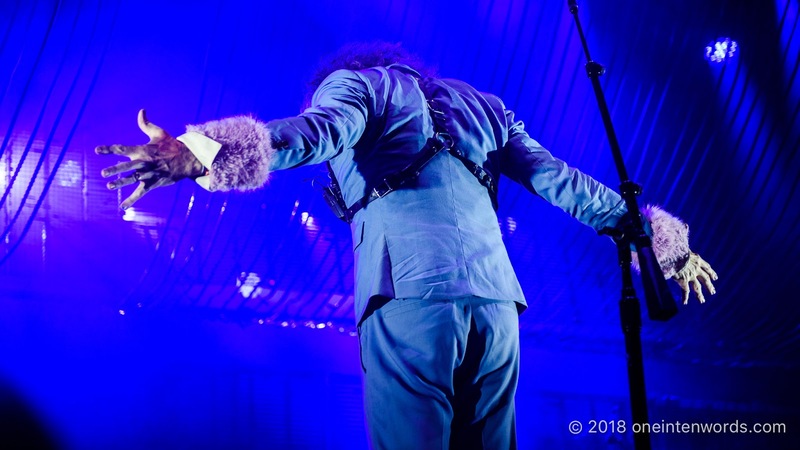 I love that after "The Star Spangled Banner", the audience sang "Oh Canada"! 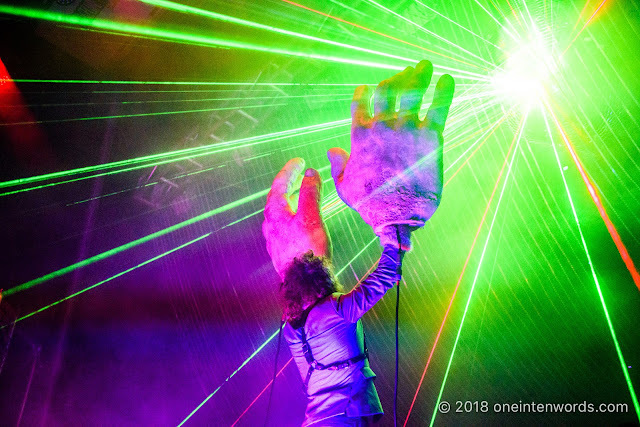 A good attitude way to remind the band that were not the USA. 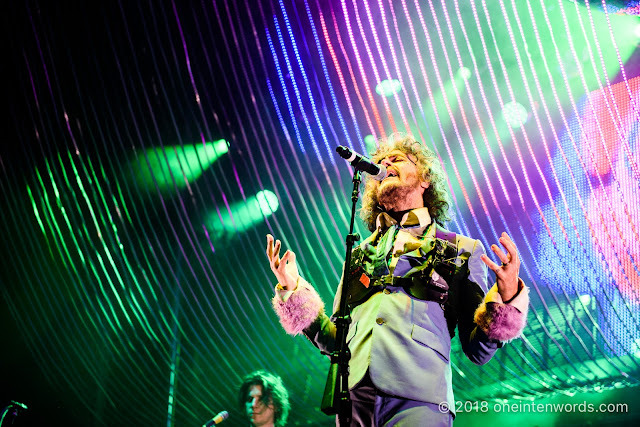 And that they played "She Don't Use Jelly", one of my personal classic favourite Flaming Lips tunes. 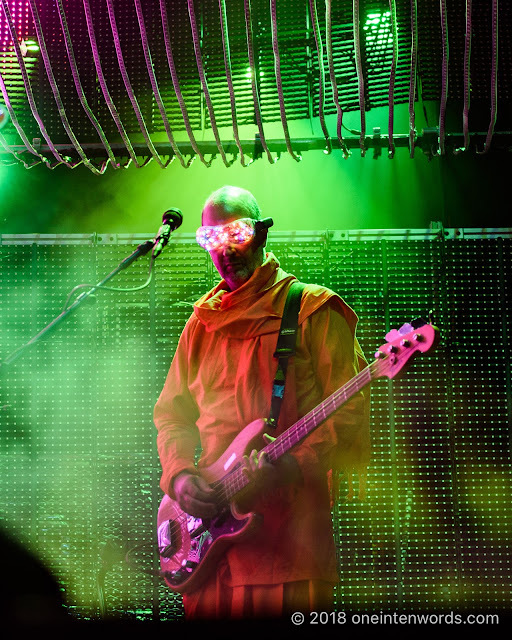 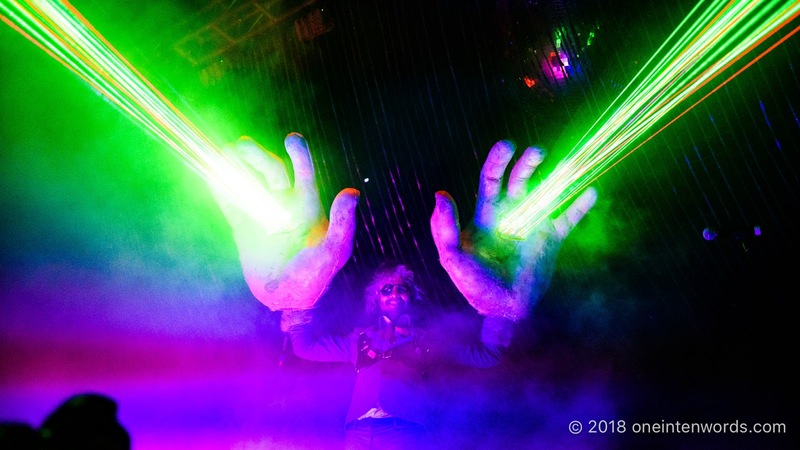 I've had the pleasure of capturing two previous Flaming Lips shows. 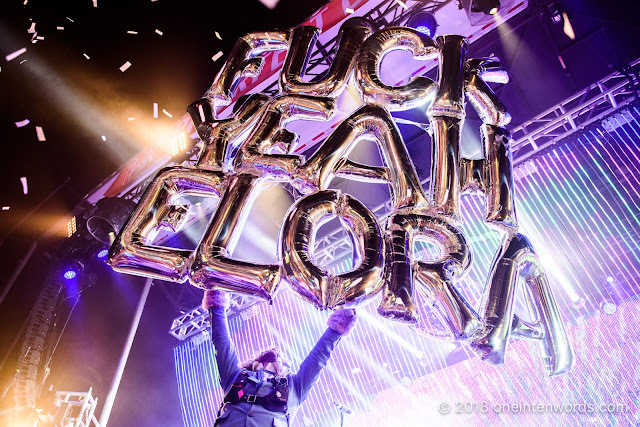 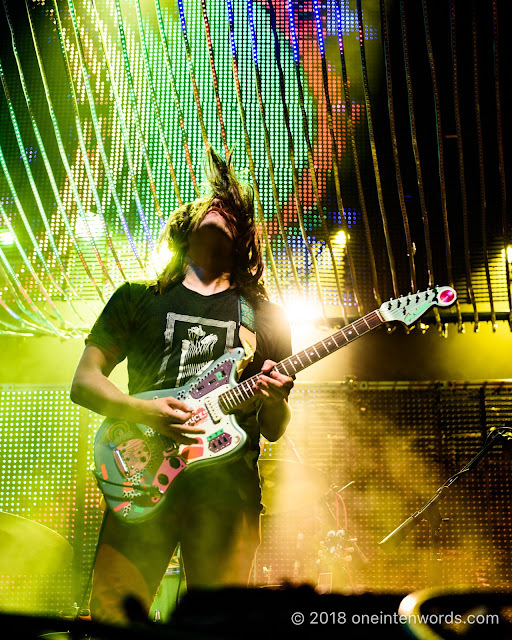 One at Panamania at Toronto's Nathan Phillips Square in 2015 and one at Riot Fest in 2014. Click here and here to check out those photos.